Margasira month is dedicated to God Vishnu. 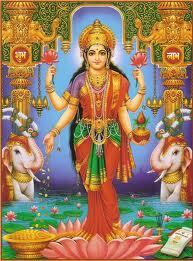 This month is believed to be auspicious for worshiping God Vishnu and his consort lakshmi Devi. 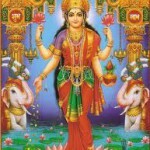 During Thursdays of Margasira month, women observe a vrat called “Margashira Lakshmi Vara Vratham”. This Vrat is also called as “Manabasa Gurubar Vrat”. Women, Who observe Manabasa Gurubar Vrat wake up early in the morning, clean their homes, perform ritual bath and Draw beautiful kolams (rangoli) and foot prints of Godess lakshmi at the entrance. They draw footprints because it is invitation to the godess lakshmi to visit their home. During the Margasira Lakshmi Vara Vratha Puja, small idol of Goddess Lakshmi or Kalasham is placed at puja mandapam. God Ganesha is is worshiped first. After performing Pasupu Ganapathi Puja, perform Lakshmi Shodashopachara puja and Ashtottaram and offer special Naivedyam to the godess. After the puja the story of Margashira Laxmi puja is recited and Aarti is performed to the godess Mahalaskhmi. In some places Lakshami Puranam is also recited. Women who observe Margashira Lakshmi puja will be relived from all problems and Goddess Laxmi blesses them with prosperity, health and wealth.